Smoky Mountain Lodge, located in Sevierville, Tennessee, is an inpatient treatment center that provides adequate care to individuals with mental health issues as well as, substance abuse disorder. The facility is located outside the Great Smoky Mountain National Park and offers excellent mountain views, as well as views of forests and rolling hills. Founded in 2009 and under the Pasadena Villa (parent company), it is a good option for clients seeking mental illness treatment away from the city. The facility offers treatment to clients 18 years and older, with mental health illnesses such as autism spectrum disorders, bipolar disorder, anxiety disorders, Asperger’s syndrome, schizophrenia, and many other mental, cognitive, and social disorders. The facility also offers treatment to clients with co-occurring addictions. Staff at the facility treat residents with different methods such as cognitive behavioral therapy, dialectical behavioral therapy, and the “Social Integration Model” which is a unique treatment model offered at the facility. This unique method focuses on placing residents in real time, real life, and relevant situations to help reintegrate them into the community. The aim of this treatment method is to help residents properly function in their daily lives. The treatment method also helps residents discover how to handle a variety of social situations. Residents are offered additional benefits such as going on recreational and cultural trips. Some of these trips range from rock climbing, movie nights, shopping, visits to the museums, and many more. All trips and activities are supervised and are regularly scheduled. The facility treats meals as a form of therapy, and this meal time helps patients build their communication and social skills. The staff team at the facility is complete with individuals who have adequate knowledge such as registered nurses, staff psychiatrists, psychiatric technicians, psychotherapists, and many more. The facility offers a good balance of staff members consisting of both women and men. The facility offers 29 private bedrooms to clients registered at the facility with expansive grounds and areas. The facility offers different recreational and relaxing areas such as a great room for meditating while facing the mountains, beautiful rose, English herb, and vegetable gardens for walking, and many more. The facility offers internet services but can only be used at designated times by residents. When on the internet, clients are encouraged to network socially to help reduce stress. Smoking is allowed as well but only during designated times and at designated areas. The facility is designed like a country mansion featuring 29 bedrooms. All rooms come fully equipped with an en-suite bathroom and all beds have memory foam mattresses. Residents are served meals on a large banquet table, and all meals are served family-style. Residents with dietary restrictions and food allergies are taken into consideration. Vegan and vegetarian food options are available as well for residents are available as well. The facility also offers a fitness studio for clients to take advantage of, for free. The facility offers day by day treatment to clients who require support, but not as intensive as the residential treatment. This treatment is less intensive than the residential treatment but more intensive than outpatient treatment services. Treatment is offered to clients daily while they continue living in their off-site residence. Treatment is individualized and members of staff are available to help find suitable housing. Smoky Mountain Lodge costs approximately $17,050 for a 30-day treatment program at the on-site facility. Amounts stated are subject to change and may vary as the level of care might differ. Clients can contact the treatment center for more information on payment changes. The facility is in-network with Blue Cross Blue Shield and currently, do not accept Medicare or Medicaid plans. The facility’s programs are fully accredited by the Joint Commission. The facility offers a large expanse of land where clients can partake in recreational activities, such as hiking trails and interacting with resident goats and horses as a form of equine therapy. Art lovers will love the fact that the painting “Great Smoky Mountains” by Fitzgerald was done, while he was registered at the facility in 1912 for schizophrenia. 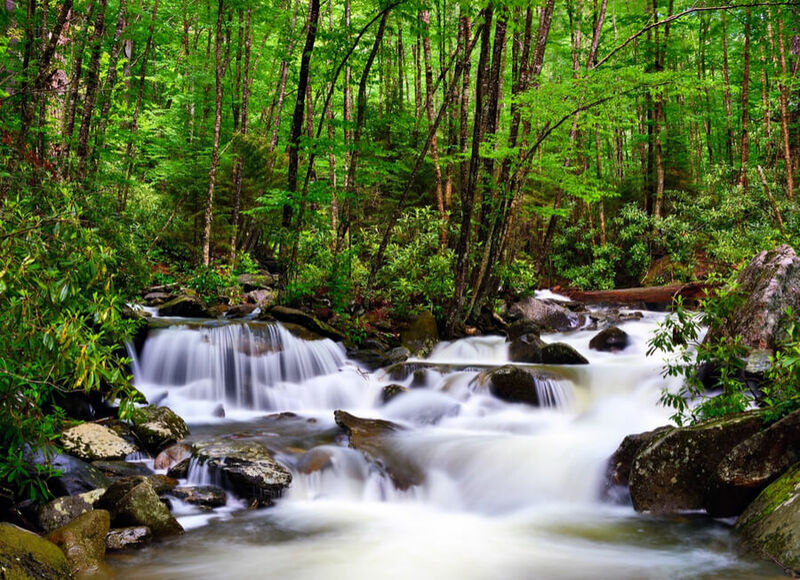 With the wide range of services offered at the facility, Smoky Mountain Lodge is a good choice for clients seeking treatment from mental illness. Although dual diagnosis support is offered, clients with more intense addiction problems might find better treatment elsewhere. David currently serves as the Chief Executive Officer and has over 25 years of experience working in the behavioral healthcare field. He holds a Master’s degree from the University of Minnesota in Hospital Administration and another in Business Administration. Julie holds a Bachelor’s degree from the University of Florida in Fine Arts and a Master’s degree from Norwich University in Counseling/Art therapy. She also holds a Doctorate degree from Miami Institute of Psychology and Capella University in Psychology. She has over 10 years of experience working with, training, and consulting staff from different organizations. Kristin holds a Bachelor’s degree from Indiana University and served as a Community Liaison at the Bloomington Meadows Hospital. Prior to joining the facility, she served in different capacities at different organizations such as Mirror Lake Recovery Center, where she served as Director of Marketing.